…if you’re pissed off at life,bake bread.It will get all those feelings out. Today,I wasn’t pissed off at anybody,or anything…. But,I was almost out of bread! It made me think of me in the 70’s. and canned and froze everything. All kinds of bread.Rye,white,whole wheat,you name it. It includes 2 children and jobs,health and dental insurance,and a divorce…. I quit quit gardening.I quit baking bread. Not to mention those 2 children are on their own,I no longer wear granny glasses(bifocals,now),or Mexican wedding dresses. Now,I’m wearing shorts and flip-flops.And my bifocals. Not in a bread machine.But the old-fashioned,hippie way. 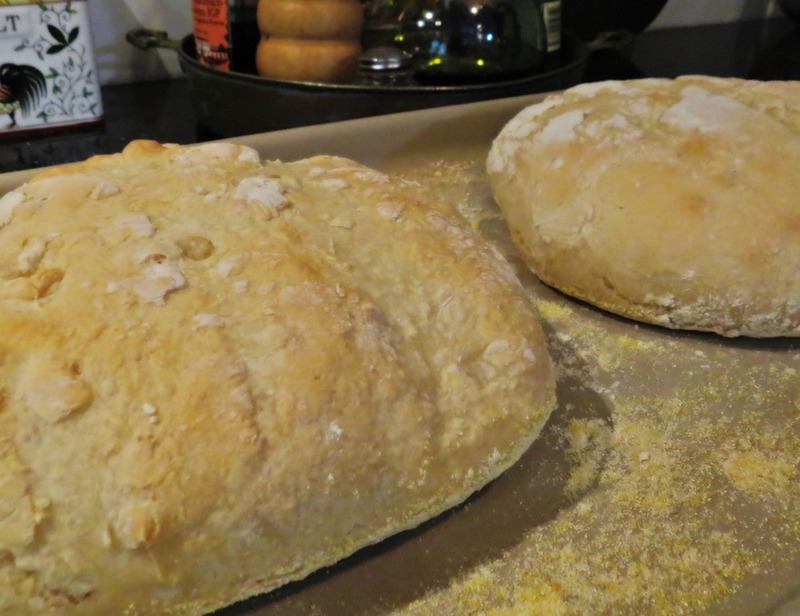 Actually,more of the next generation way.I found an easy,no-knead recipe on the web…. Add 1 1⁄2 Tbsp. yeast to bowl. 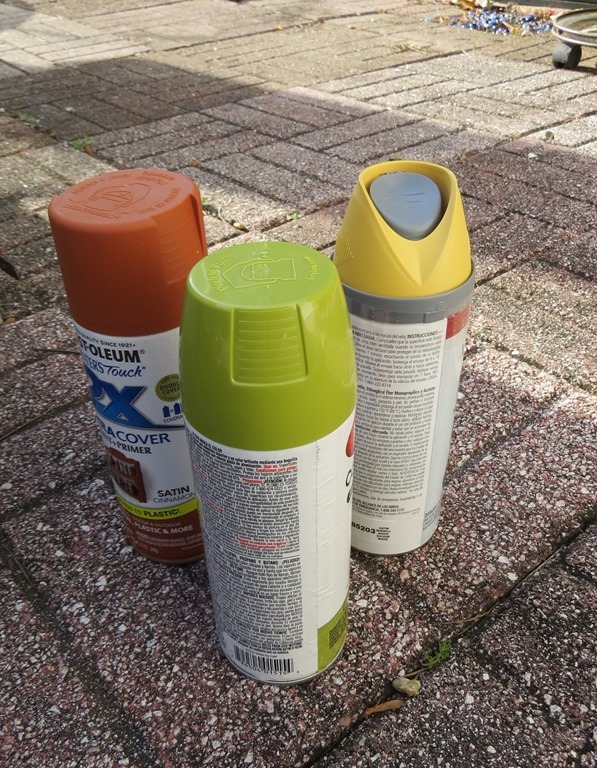 Add 1 1⁄2 Tbsp. salt. Add 3 cups water. Add 6 1⁄2 cups flour. Stir the mixture until it’s thickened and well combined. Cover bowl with tea towel. Allow to rise for 2 hours. Once the dough has risen divide it into 3. 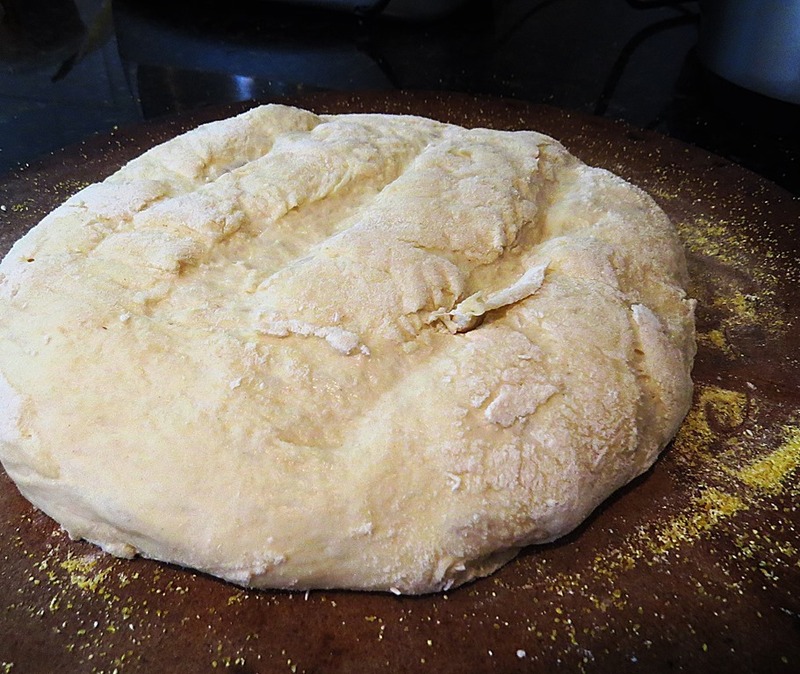 Form each section into a ball and pull the 4 sides of the dough to the underneath. This is stretching out the gluten and aligning it. It also gives you a nice tight top to the bread. Leave the dough for its final proof on a very well floured couche,or tea towel for 45 minutes. Cover with couche or gently cover with a light, floured tea towel. After it’s proved, gently transfer to your peel or baking tray/stone. Cut several slashes across the top. This allows the bread to move upwards as opposed to sideways when it bakes. Bake until the interior temperature of the bread is 190 f. (around 25 minutes). I didn’t use a couche.I did it my mother’s way:A floured,linen tea towel. Because the AC is running,I set mine outside,in the sun to rise….just like I did in my hippie phase…. 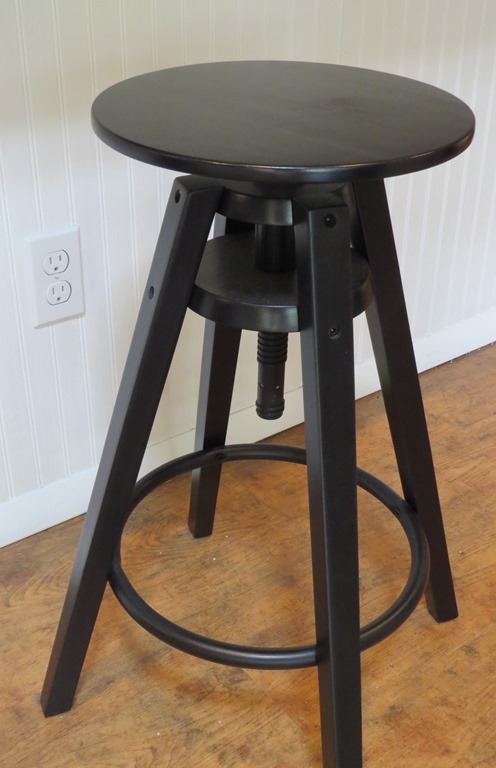 Take one Ikea counter stool…. 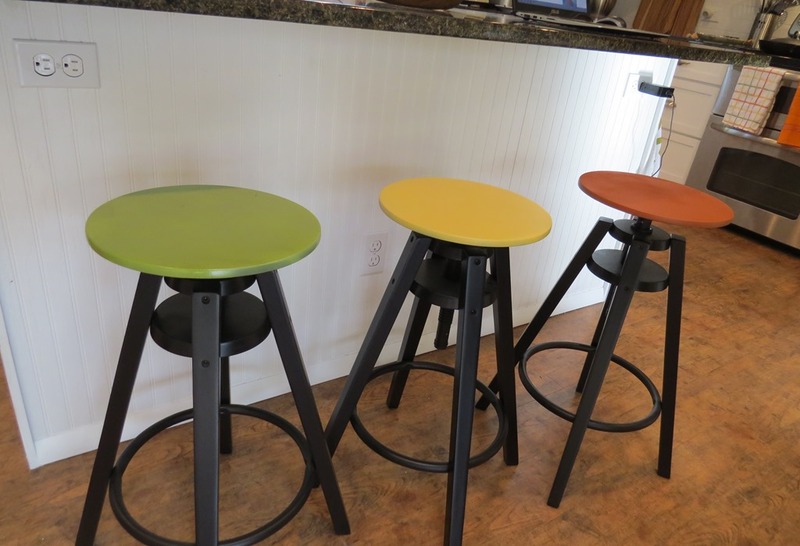 …kinda matches the dish towels….